Since the beginning of the series, Shinichi has been living the life of Conan. Surely, people must wonder where shinich went. Also, it seems as if no time has passed since the show first started. If shinichi had never shrunk, how old would he be right now? Re: How old would shinich kudo be right now? As far as I know in movie 1, The events take place around Shinichi's birthday, where ran almost gets killed by a bomb. Since Conan movies are not considered Conan plot, therefore his age would be 16 - 17. 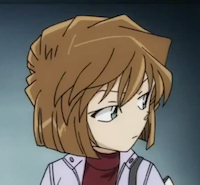 Some manga cases listed shinichi's age as 16 and in episode 3, shinichi said he was 17, so its all up to gosho. I thought 2 years had passed and Shinichi and Ran would be 19 now. But that's just my guess. 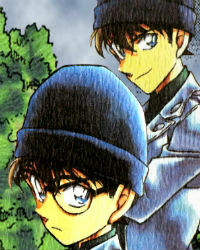 Nope , Gosho specifically said only 6 months have passed.. while Shinichi does gives a cameo every now and then.. and given the fact he appears every 100-200 chapters which in real life could be estimated to about an appearance a month or so... and those phone calls kinds of give him that much availability to stay as conan freely. but he is still 17 and while, on the contrary, Teitan High School should really give their attendance criteria a good look.